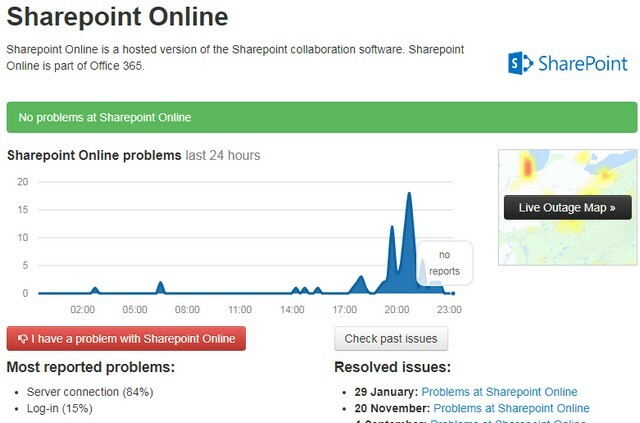 Currently (March 4, 2019, 23:00) there seems to be issues with SharePoint Online from Microsoft. Users have problems accessing data such as lists or libraries of their accounts. ‘ve become aware of the problem via Twitter. Microsoft has released the following tweet under @MSFT365Status. We’re investigating an issue where users are unable to access their lists or libraries via the modern view in SharePoint Online. Additional details can be found under SP175201 in the admin center. At downdetector.com there are currently an increasing number of reports of problems. Anyone affected? Or does anyone have more detailed information about this failure? This entry was posted in Cloud, issue and tagged issue, Sharepoint. Bookmark the permalink.